In this episode of the eCW Podcast, host Adam Siladi discusses the ins and outs of Urgent Care with Dr. Robert G. Graw, Jr., CEO of RightTime Medical. The pair examine how Urgent Care centers have become a go-to for many patients who are busy during most office hours; because his center is open until midnight on weekdays and open on Saturdays, his patient numbers have increased significantly. 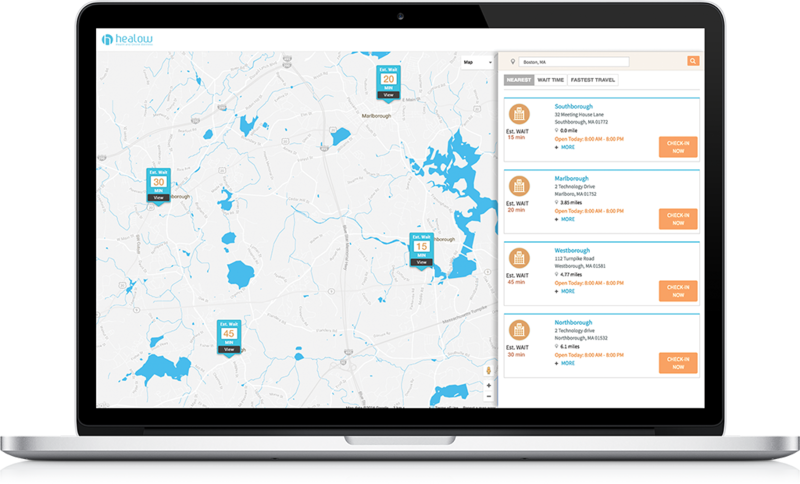 With eClinicalWorks, patients seeking Urgent Care can go online and easily determine the availability of clinics, including current wait times at the facilities closest to wherever they happen to be. Depending upon the urgency of their medical situation, they can then choose the clinic location that offers them a reasonable distance with minimal waiting time. The result is quicker medical help for patients and a better distribution of caseloads for providers and staff. 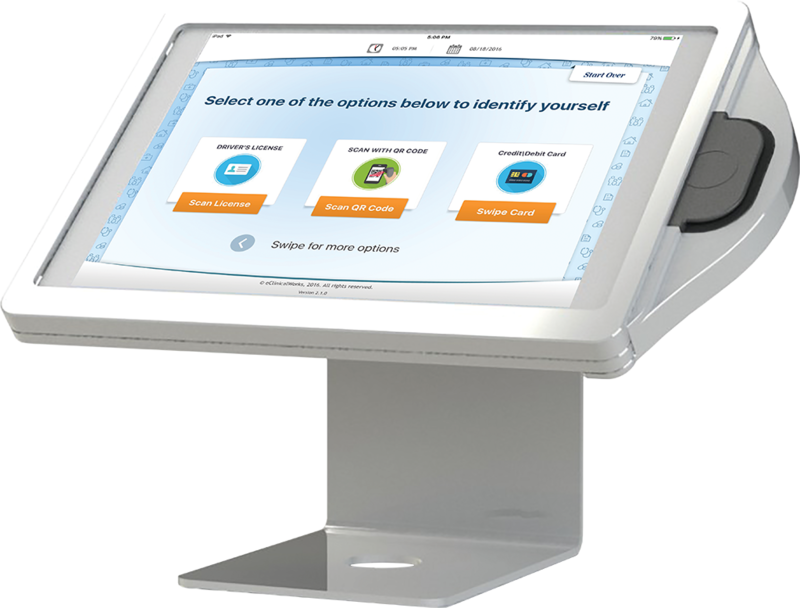 Patient check-in has never been easier than with the eClinicalWorks Kiosk. Rather than standing in line to speak with a receptionist, arriving patients simply go to an available Kiosk and log in with their name and date of birth. They can update demographic information, confirm insurance information, sign forms electronically, make copayments or pay balances, and even complete questionnaires — with the information being imported directly into the care provider’s notes. Patient Portal gives patients 24/7 access to their medical information, anywhere, on any device. Whether at home, work, or traveling, patients enjoy a secure, private connection to their personal health records. eClinicalWorks’ leading-edge technology helps providers deliver quality, preventive care, and keeps patients engaged and informed, with visit summaries, appointment booking, and important reminders. Patients can view lab results, request prescription refills, read secure messages, and even view billing statements. 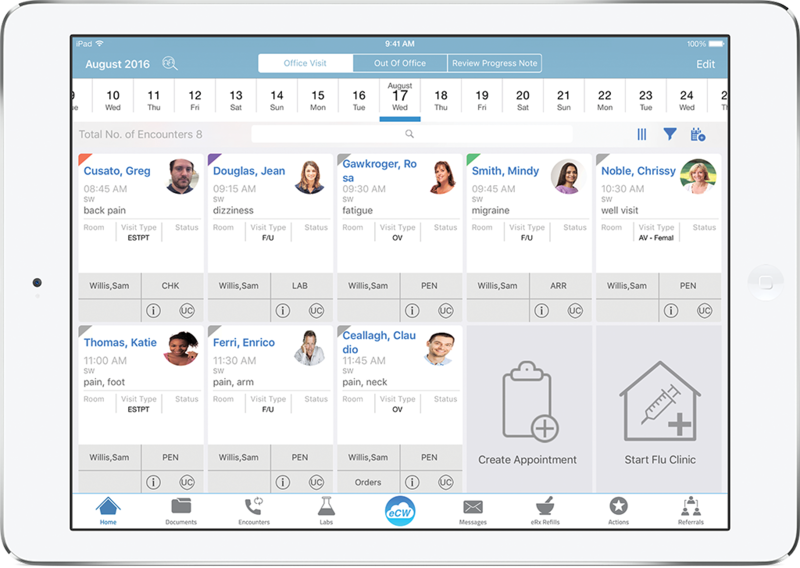 eClinicalTouch ensures medical providers access to the full power of the eClinicalWorks EHR from their iPad. Patient data is available wherever there is a secure internet connection. Gestures such as tapping and swiping allow providers to quickly complete tasks and documentation, ink documents, and add pictures. 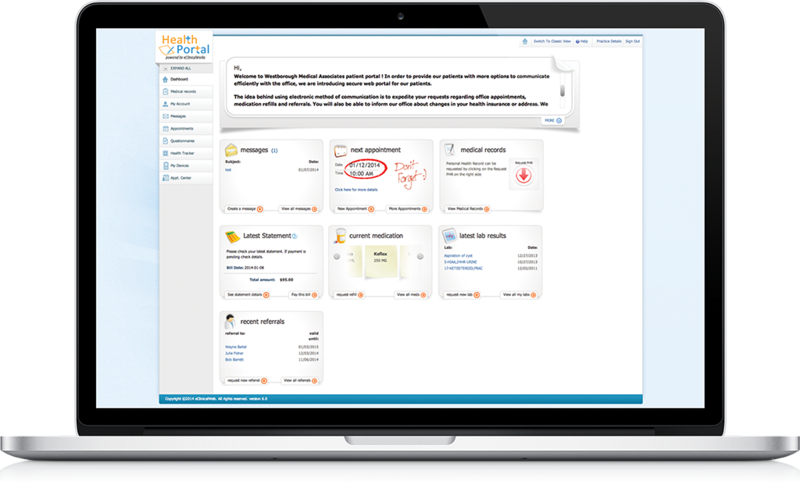 And with a value-added speech bundle, clinical speech recognition through eClinicalWorks Scribe converts the physician’s free-text dictation into structured data. Adam: Welcome to this episode of the eClinicalWorks Podcast, I’m Adam Siladi, and today we’re talking with Dr. Robert Graw, CEO of RightTime Medical Care, about the ways that they’re improving care for their patients. Dr. Graw, thank you so much for being here. Dr. Graw: Adam, thanks for having me. Adam: Tell me a little bit about the history of RightTime Medical. Dr. Graw: Well RightTime’s been doing urgent care for about 26 years. It began as a pediatric business. It started with pediatricians working after 5 o’clock at night and on the weekends providing care for people who, we felt, didn’t need to go to the emergency room. It’s grown, the names changed, the hours have changed. So we’re now open at 7 am, open ‘til midnight, we take care of all ages – we take care of children, adolescents, adults. And as the acuity has increased, the complexity of the care has increased. We used to do paper, and now we use eCW to take care of our patients. Adam: That’s why we’re here speaking with you today, and I can definitely understand how parents will be appreciative of having those extended hours for their kids. Tell me how that focus has changed over the years, from the beginning to where we are now. Dr. Graw: Well, you know, when we began, there were nine local pediatricians who knew each other and we knew each other’s patients and we knew each other’s style. As we evolved and now we have 125 physicians taking care of people, we don’t know the clinical people, and we don’t know the clinical styles necessarily, and we’re taking care of everybody else’s patients. The principles remain the same. We see a patient and we try to encourage them to go back and see their primary care doctor. If we cannot get them well enough, during their visit to urgent care, which is during these long hours from 7 to 12, we’ll try to find some specialist in the community that we can interact with, and get that care delivered there, and/or, if necessary, going to the hospital. Adam: It sounds like an effective model and a logical extension of on-call doctors covering each other, in the evenings. So, urgent care. This is something that I see popping up everywhere — everywhere I look I see an urgent care center going up there. What’s driving this change? Dr. Graw: Well there are a couple of factors, probably the most important is that there are not enough physician hours. If there were enough physicians, maybe if they were to work longer hours, like old-time physicians did, but there aren’t enough, and we’re going to be short 25,000 or 40,000 depending on who you read, in 2025, right? So people are recognizing that they are having a hard time accessing healthcare through their primary care doctors. And then the second, and probably more important is that people want something now. The youth of today recognize that when they want their cup of coffee, they want to get their cup of coffee now. If they want to order something, they go on Amazon. When they’re at the department store, they whine when their size isn’t there. And so, they recognize they want healthcare the same way. So, they want their healthcare to be responsive, they want their healthcare to develop and deliver what they want, when they want it. Adam: Now, you’ve been using eClinicalWorks for a long time. Thinking about where it was when you started, does it still seem like the right tool to deliver your mission as it stands today? Dr. Graw: Well, you know, eCW has evolved as we have. When we began, our process of looking for an electronic health record — as you can tell we’ve been around doing this for a long time — we looked at every other platform and we chose eCW because we felt that it could offer the depth, the robustness to deliver care for all of our primary care patients. We began it in my pediatric practice, which was a large pediatric practice with 15 clinicians, and we used the desktop version and we used tablets and it was wonderful. And we said, well, what if there was a mechanism to use an iPad to deliver that care? And that’s now called eClinicalTouch @, we would now put that into our urgent care which we’d not selected and EHR for urgent care. So we chose eCW and then we moved into urgent care using eClinicalTouch 2 — as we began to use it eCW matured with us. We work closely with them and develop what needed to be done. What’s nice about it, is that behind the scenes, we can expand it to services we give that in urgent care, to all of the other things that people would like to do at the workplace, the occupational health, and so we now find that the tools are being delivered to use, after being developed on the desktop to the eClinicalTouch 2. Adam: Urgent care obviously requires even faster turnaround times and visits than traditional primary care. What do you feel has been helping you to support that? Graw: Well our urgent care is a little different. So, we began by doing appointments. And so, we have a large call center and that call center has 800,000 calls in an out during the year. So people call and pick the time that they would like to come. So we have an appointment scheduler that we can use for people who call in and then we have eCW online appointment scheduler. So we have three ways that people can come to see us. They can call for an appointment, they can go online and make an appointment or they can walk in — so that’s allowed us to do both. Adam: Well, I’m sure, going back to what you had said before, about wanting the services that they’re looking for right away, I’m sure that flexibility is very appealing to them. Dr. Graw: They love it, so they can get the care they need, wherever they want to get it. Adam: All right. We’re going to take a break and when we come back we’re going to finish our discussion with Dr. Graw. Adam: Welcome back, I’m Adam Siladi and we’re speaking with Dr. Robert Graw at RightTime Medical Care about his care delivery for his patients — urgent care and primary care. Now, a recent article mentioned that organizations are really going to need to broaden the scope of what they mean by population health, that it’s not going to be sufficient, that they simply are going to be able to analyze their own patients that walk through the door, but I understand that you have already taken steps to move beyond that. Dr. Graw: Well, I think you’re correct. I think that where we are today, and the healthcare growth is patients want to be cared for, and their data needs to be available to their primary care doctors, to the hospital systems where they get care, or to specialties. So what we’ve got proactively is that we’re now working with insurance companies, with our Patient-Centered Medical Home, so all of the information for those patients is bi-directionally exchanged so doctors in their primary care offices can look and see what happened to them when they came to the urgent care. Likewise, we can then examine what’s going on in their primary care office. Similarly, with the hospitals now, we’ve built a network so we can exchange data with Epic in our local hospital systems, and be able to see the same thing, what treatments have been done, what diagnostic studies have been done. They, likewise, in the morning, can see what we did to help their patients. So all of that data becomes one big database, allowing people to look at population health and understand how to keep people healthier. Adam: I’m sure that becomes especially important in a setting like urgent care, where patients are not necessarily seeing their PCP, and of course you’re using the health information exchange capabilities through eClinicalWorks eHX to make those things happen? Dr. Graw: That’s correct, and there is, in our state, something called CRISP, which is this exchange with hospitals and urgent care offices and that’s connected to the eHX that we’re using. Adam: Is this a small thing? A big thing? In terms of patients affected? Dr. Graw: It’s a major step because, currently, despite the fact that people have a health record that’s electronic, in their own doctor’s office or in the urgent care — they don’t talk well back and forth to each other. And this allows people to have the security of knowing if they’ve had a drug allergy or if they’ve had certain prescriptions prescribed or they’ve had an MRI done — you don’t need to repeat those and you don’t have to take any risk with them, with prescriptions. Adam: What percentage of your patients would you say are benefitting from this type of interaction? Dr. Graw: Well, 100% of our patients will go into this exchange — it’s the question on the other side of how many people are looking to see what we’ve done for them. On our side, we have probably a third of our patients, 40%, that are in this large care-first health data exchange and in the hospital, depending on where you are, it could be 25% to 30% of that hospital network in the community where you’re practicing. Adam: Not an insignificant number, it sounds like. So, when patients are coming in for urgent care, they may only be using your services occasionally, and then, like you said, you’re going to try to refer them back to their PCP. When that happens, what happens to the patient engagement? Is it as important or is it something we’re not really focusing on? Dr. Graw: Well, I think there is a generation of patients using our facilities, the 18 to 40-year olds — the millennials who want it now. We become those physicians, we become the collectors of their healthcare information. So it’s important that we do a thorough job — it’s not just that we’re going to look at your eye and say it’s pink and we’ll give you some eye drops, right? We’re trying to understand how their health is in general. And it’s an opportunity, then, if we have the right tools, to collect that information longitudinally. So, when and if they decide to go somewhere, that data’s all in one place for them. So we see people using this over and over again, for repeated interval illnesses. Adam: Of course, you run several traditional primary care practices as well, and you have patients there that see you on a regular basis. What tools are you using to make sure their experience is the best that it can be? Dr. Graw: Well, we practice with the primary care and now we use those same tools in urgent care. So we have the Kiosk when patients come in, where they can enter all their information, so by the time they get back to see the clinician, much of their historical information has already been implemented or imported into the record. 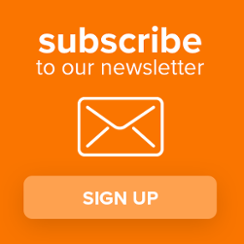 We use our Portal, and we allow people to find their medical record and their laboratory work, and patients love that — particularly the people that have email and they want to be able to be in a dynamic relationship with us. More recently, what we’ve done, which is very good for us, is we used to always have a survey, starting with paper or pencil, and a survey that was sort of self-contained with 10 questions, it was hard to do, and now we’ve developed a relationship with Salesforce, and Salesforce has allowed us to put in a robust survey that we can change every single day and it’s given to patients on exit in their room, and if they don’t want to take the survey at that time it’s sent in an email to them three or four days later, so we can get an email response about their visit — and how they proceed the care that they’ve received or MPS score, all the things that people like to know. And then what we did is we imported all of the eCW information. So when I look at your survey results, so we come in and you say the doctor just didn’t pay a whole lot of attention to me — I can click on the record and see that it was at 11:59 on Wednesday night, and I knew who the doctor was and I see that the nurse was tired and all of that and I can understand if that was a valued impression or not. So we’ve tied together not only the survey to the eCW record, but also what’s in the Portal and what’s in the Kiosk. Adam: it seems that, especially with programs like Patient-Centered Medical Home putting an enhanced focus on access to care, and of course, you mentioned just a moment ago, a visit that might have happened shortly before midnight — are the lines between primary care and urgent care becoming blurred? And what do you think the future of patient care looks like? Dr. Graw: Well, let’s look at what the future of urgent care is going to look like. I think urgent care is at the interface of all things we’ve mentioned. It’s at the interface of primary care where there are insufficient numbers — urgent care will start doing primary care for those who can’t get access. It’s at the interface between going to specialists, sort of like the one common thread is that whether they’re coming in for urgent care or going to specialists and then coming back to get the care they need or the hospital. So it becomes that interface for delivering the care. And then you overlay that with the insurance programs that are out there — every insurance company has a different kind of program — and it’ll be possible for different kinds of payment plans where insurance plans will then say to the family, “You can go to this urgent care and receive the care under this plan,” and they’ll receive all the data back. So it become an interface of delivering healthcare in the economic environment that we’re all working for in the new healthcare reform. Adam: Given some of the pressures that primary care offices seem to be experiencing, would you say that it behooves them to try to investigate offering some urgent care services like you have? Dr. Graw: Well, you know, it’s interesting, I have been asked to come and speak to groups like a pediatric group or family practice group, and often they’re threatened – they think “Oh my goodness, these people are taking all my patients,” and the reality is that we’re only seeing patients who can’t get into their office. And what I say to them — and Patient-Centered medical home programs sort of dictate — is that you need to have certain appointments available for your own patients in the morning, right? You leave slots open to see them, right? So I always say to the pediatricians who worry, I say – “Look, if you’re there in the evening, if you’re there on Saturday, if you leave those slots open, your patients will never come to see us. They’re only coming because they can’t get in to see you. They want to see you, preferably. That’s why we send the records back, and again, we send it electronically from eCW to their office — so when they arrive, they’ve received the record from the visit. So, if they’re confident in their own program, they say this is wonderful, you got seen by RightTime, I’ve got the record right here, and what can I do for you? Adam: Now, you’ve recently attended the Urgent Care Summit that eClinicalWorks hosted. What were some of your takeaways from the event and tell us what you took away from that? 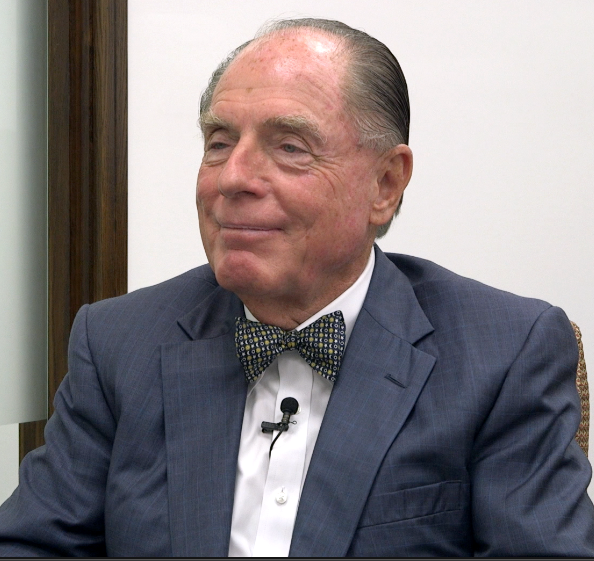 Dr. Graw: Well, I was pleased they did it, because it’s been a lot of different folks working in urgent care with eCW using different tools — I think we’re using more of eClinicalTouch, but there are people using the desktop. So, people are doing more occupational health, workman’s comp types of work, so we were able to all get together in the same room, and then hear the developers talk about what has been done, what hopes to be done, and they see the maturation of the process all geared at being able to have a more comprehensive medical record, whether it be in the workplace or for occupation health or for disease management and I think that hearing everybody’s working on that right now for us made everybody in urgent care feel good and I think they’re planning to have several more, and I think by that refinement of feedback from people actually on the frontlines using it, will make eCW’s application for urgent care, even that much better. Adam: Well, Dr. Graw, we look forward to having you with us on that journey as you can continue to give us excellent feedback and be a great spokesperson for us. Thank you so much for your conversation here today. Dr. Graw: Good, thanks for having me.